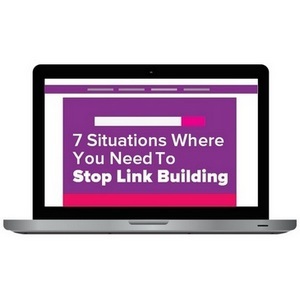 Home » Guides / Tutorials » 7 Situations Where You Need To Stop Link Building … And Start Over! 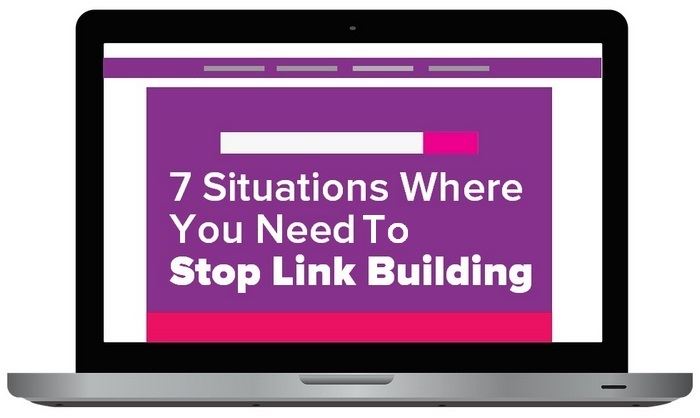 7 Situations Where You Need To Stop Link Building … And Start Over! Blood, sweat, and tears… Three things you’ll find within the initial stages of any link building campaign! Link building certainly isn’t quick, and it isn’t easy. In fact, there are a lot of prerequisites required in order to give your campaign the best chances for success. From reading articles and preparing email templates for generating ideas and identifying bloggers, link building is a time-consuming task. And that’s exactly why it’s so difficult to admit defeat… even when things aren’t heading in the right direction. Luckily, when you’re properly prepared, a link building campaign does have a great shot at succeeding. But marketing isn’t a science; it’s an art. And as with any art, things don’t always go to plan! Whether it’s poor link building practices or complete writer’s block, there are definitely a few obstacles that can throw a spanner into the works in any link building campaign. So how do you fix these problems? Rather than wasting the time, the resources, and the money trying desperately to resurrect a dying campaign, it’s sometimes better to simply cut your losses and start fresh. So just how do you know when that time has come? Your water bottle is leaking. It doesn’t matter how much water you technically ‘should’ have; the amount of water that’s actually there isn’t enough to keep you hydrated. This image can easily be applied to link building. It doesn’t matter how many links you have; if Google is ignoring half of them, then you really only have 50% of the links you think you have. One of the most important mantras in link building is this: ‘Link profile size is not always representative of ranking’. Do you fix your leaky water bottle, or get a new one? Well, that’s up to you. However, in terms of links, what many will try to do is increase their link profile size by generating all the links they possibly can. This isn’t usually the best way forward. Instead, it can be much more effective to simply start over with a different tactic; rather than basing your campaign on link quantity, look at link quality. Not all links are created equal, with Google more likely to acknowledge links placed on high quality, authoritative sites. Email, email, and email again! Relevance is often cited as one of the most important aspects affecting the quality of a link… and that’s 100% true. But this focus on relevance can only take us so far. If you’ve reached out to websites, bloggers, and influencers within a field that you’ve determined to be relevant to your content and your concepts, but your ideas don’t seem to be grabbing their interest, then it could be time to go back to the drawing board and work to redefine what ‘relevance’ really is in terms on your link building campaign. We can sometimes be so blinded by our own idea of relevance that we can’t see the wood for the trees! As the above image shows from Search Engine Land travel ideas aren’t only relevant within direct travel-related media. 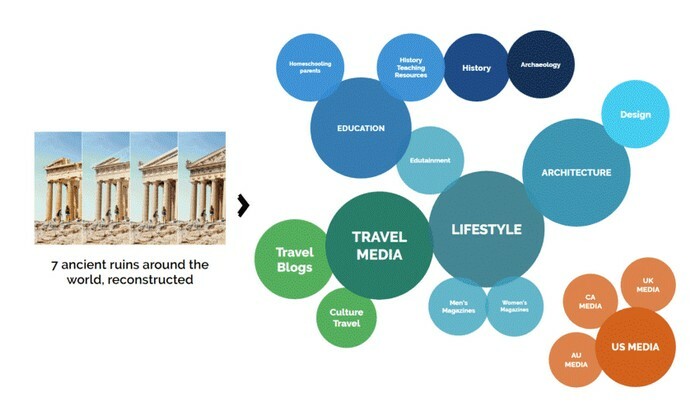 There is a notable overlap between subject areas that content about ancient ruins can be relevant to lifestyle websites, history bloggers, educational resources, and even architecture and design niches, too. Don’t hinder your campaign with a closed mind; start over and expand your reach to new and different areas. As we’ve already discussed, link building techniques and marketing as a whole are an art. And the problem with absolutely every type of art is that art is subjective. Art critic Louis Leroy once blasted Monet’s works as mere ‘impressions’; a term that was later used to describe the famous art movement founded by the painter! 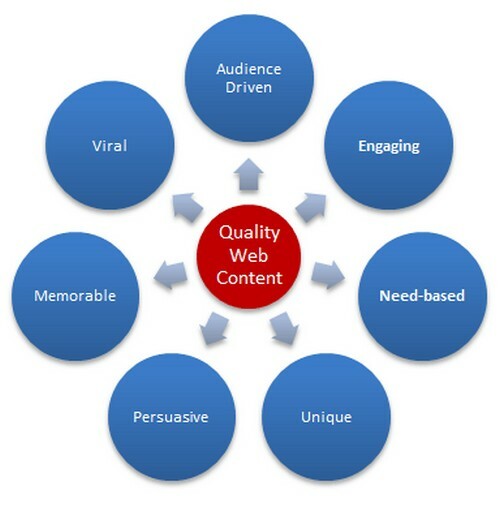 Content quality is most definitely subjective. However, if your content is consistently being rejected by bloggers, ask yourself if the tweaks are worth it. Is it better to just start over from scratch? While tweaks can be beneficial in some cases, if your content is really missing the mark then a full rework is certainly the easier of the two options. Try to create evergreen content which gives bloggers more bang for their buck, so to speak, thanks to its ongoing, permanent relevance. Produce engaging thought leadership pieces, not sales articles. Use a conversational tone and ask questions to engage the audience, and take a look at guest posting guidelines to find common elements bloggers look for. There’s no denying that a successful link building campaign requires a great deal of human input. After all, we can’t blame a busy blogger for not caring to respond to an automated, robotic communication. However, in trying to manage a link building campaign 100% manually, you’re leaving yourself open to error and, ultimately, failure. If you’re finding yourself falling behind, catching up to that runaway train can sometimes be easier said than done. In this case, it may be best to wait and hop on the next train. You may find it much more time efficient and cost-effective to step away from your existing link building campaign, find some helpful resources, and try again. Automated link building tools can be massively beneficial here, supporting you as you restart your campaign. While there is a wide range of different tools available, each including a selection of features, in general, a link building tool will help with tasks such as identifying bloggers, generating ideas, sending follow-ups, and reminders to contact. When deciding to work with an SEO agency to help you with your link building efforts, it’s vital to spend some time finding the right partner. Unfortunately, it’s often easy to go for the cheapest option or the option that says the right things at the right time, and it can sometimes be difficult to get a true feel for an agency until it’s a little too late in the game. If you’re noticing that your partner is using some pretty dubious SEO practices, like paid links, links without content, or link stuffing, it’s time to cut and run. Fast! Any link building practices that go against Google’s Webmaster Guidelines can result in a penalty, which can be difficult to crawl back from. Move on, and start over. When looking for a new partner, focus on realism. If an agency guarantees publications of specific high authority websites, or promises a first position Google ranking for a specific keyword or phrase, be wary. Agencies aren’t miracle workers, but what they can do is help you to boost traffic to your website and improve your overall Google ranking. Your link building efforts are boosting your website traffic. Great! But what is your conversion rate looking like? Increased traffic is ultimately pointless if that traffic fails to convert. There’s really not much difference between having 1 visitor and 100 visitors if only 1 visitor takes action. If you’re not quite seeing the results that you were expecting, then it’s time to pause. 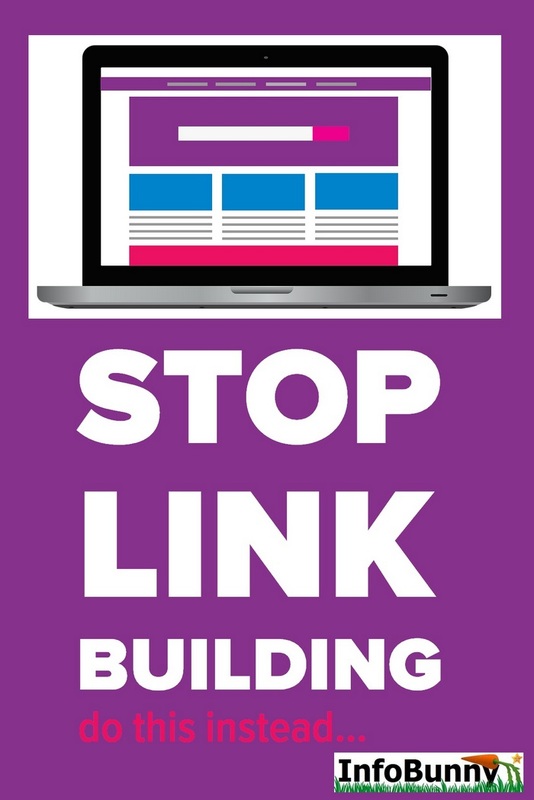 Stop putting your efforts into your link building campaign and reassess your priorities. How is your own website looking? In many cases, the reason for increased traffic but not increased conversions will be due to internal issues. Do you have enough informative, engaging, and relevant internal content on your own websites to encourage your visitors to stick around? Do you have high quality, easy-to-navigate, user-friendly landing pages? Don’t be afraid to take a break from the external side of marketing to focus on what you need to do internally to support a link building campaign. Start over when your website is ready to go. As you’ll probably already know by now, there are many aspects that combine to create a successful link building campaign. This means that it’s incredibly easy to overlook one vital component. This is especially true for aspects such as tracking which isn’t essential to campaign launch or standard day-to-day management. If you realize a little late in the day that you haven’t been measuring campaign success, don’t fall into the trap of starting now. It’s hard, but it might be better overall if you start anew. If it turns out that you’re doing something wrong in your campaign, it’s important to know that now, not 3 weeks down the road! Confidence in marketing is important, but don’t assume your campaign is working without having the cold, hard facts in front of you, and don’t waste time and money on a campaign that you cannot be 100% sure is working. This is particularly true if you’re a small business with limited resources. Start from scratch, using real-time data to measure and track along the way. If you’re unsure about how to restart a link building campaign following an error or mistake in the past, then stop, sit down, and breathe! Jumping back into link building head first will likely result in more errors in the future, and the cycle will start all over again. Instead, take a short break from your campaign and look at what went wrong. Plan how you will address these issues in the next campaign and, if necessary, talk to a professional who can provide any support and assistance that you may need. Even if you do need to stop link building and start over, it’s worth it in the end. The journey to a successful link building campaign can be long and arduous, but it’s a journey that does pay off. Link building is widely considered to be one of the most effective forms of digital marketing today, working to not only increase traffic and ranking but also boosting brand reputation from high authority association. That is all for now! Have you had success with a link building campaign? What did you learn by failing? Make sure that you subscribe to the comments so that you are notified when we reply. Nikola Baniček is an internet marketing specialist at Point Visible content marketing agency. He’s a laid back guy with experience in PPC, copywriting, and project planning. When he’s not working, he’s either gaming or watching anime. Link building certainly isn’t quick or easy. In fact, there are a lot of prerequisites required in order to give your campaign the best chances for success. How To Create Evergreen Articles For Your Blog? Situational Marketing: How Does it Work? Many people think that link building works best only for micro niche sites. If that is true, then it means that link building can never work for websites like CNN, etc. But, the results are opposite. Link building works for those who do it with patience and only focus on natural, high-quality link building. The easiest way is to create link worthy content. Only the link worthy content help you grab the link without even worrying or trying to build relationships. Quality of content, SEO and analytics are also crucial for the success of your link building campaign. I agree for all the time you spend chasing links you could better use that time in just creating better link worthy content in the first place. Thank you, Nikola for writing such an informative article about link building. Link building is a crucial part of Google’s algorithm and should be taken serious. Understanding how to set the links properly with out getting punished is the best way to create a successful site with out been penalise. Thank you for sharing! Nice piece of information. This article is really very useful for all business people. I’m sure one can become a business viz by following these blogs.Thank you for sharing it. Subscribe to commentsGet notified of new comments on this post. If discussion generates more than a few emails daily your subscription will be paused automatically. Visit Dexter Roona's profile on Pinterest.